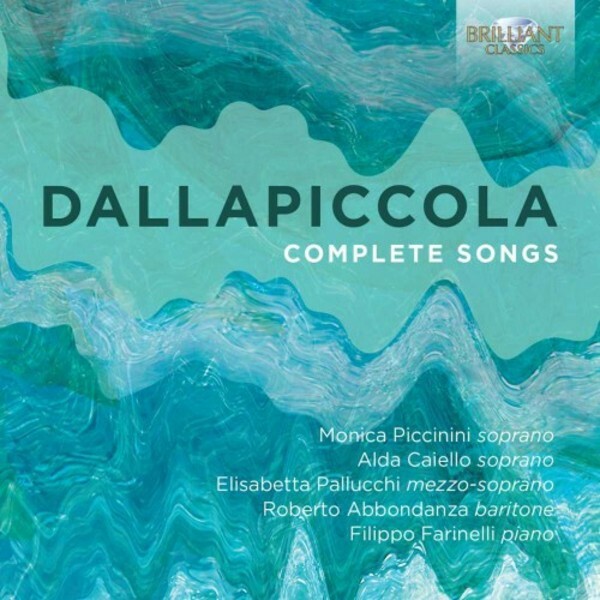 The first recording of the complete songs by Dallapiccola, one of the most influential composers of 20th century Italy. His political engagement and his experiments with the 12‐tone technique established him firmly in the European Avant‐Garde. The main works on this double CD are the transcriptions he made of 17th and 18th century Italian songs, by Monteverdi, Caldara, Carissimi, Caccini, Durante, Stradella, Legrenzi and others. He wrote brilliantly, making intelligent use of counterpoint and canon, with exquisite taste for vocal timbres and polyrhythm. In that sense they are far more '20th century' than similar transcriptions by other composers (Respighi, Busoni and others) who romanticised the original early works. Also included are the two original song cycles by Dallapiccola: Rencesvals and Quattro Liriche di Antonio Machado, fascinating testimony of his unique style, both severe and warmly emotional. They are eautifully performed by four excellent Italian singers who already recorded successfully the songs by Jolivet (BC9220) and Ravel (BC94743). Scholarly written liner notes are by the pianist, Filippo Farinelli.